In the world’s highest vineyard, there are endless halls of color, with nothing on the walls, no sculptures, just light: Welcome to the James Turrell Museum in Colomé, Argentina. The museum belongs to the Hess Art Collection, and houses art from the artist’s half-century career—a “time tunnel” of nine rooms devoted entirely to Turrell’s works. In the museum’s courtyard, you’ll find Unseen Blue (2002), Turrell’s largest skyspace in the world to date. Like all of his signature skyspaces, Unseen Blue is an observatory, or chamber, with an aperture in the ceiling open to the sky. To appreciate the skypace’s maximum effect, it should be experienced during dawn or sunset. Turrell has engineered nature’s light to coincide with his own artificial light show, creating an intoxicating and dizzying effect that even a fine Argentinian wine grown at 10,2017 feet can’t compete with. The power of James Turrell’s art is that it evokes and expands contemplative states within the viewer. So what could be a more fitting home for his art than a guesthouse for meditation deep within Japan’s rural western countryside? Guests can stay overnight at the House of Light, where Turrell has fused aspects of traditional Japanese architecture, aesthetics, and culture with his own play on light and shadows. For instance, the Japanese restorative practice of "forest bathing" can be experienced in the home’s Light Bath, where guests can bathe in a tub illuminated at night by fiber optics and by day by natural light seeping in from views of the surrounding forest. The city of Culiacán is known for its bloodred sunsets, but you’ll experience them in a whole new way from James Turrell’s Encounter, the first skyspace in Mexico, opened to the public in 2015. Located in the lush Botanical Gardens of Culiacan in Sinaloa, Mexico, this skyspace has a unique elliptical shape which, when viewed from above, resembles the shape of an eye. All of James Turrell’s skyspaces are designed to be a space for introspection, so it’s always advised to experience the space in silence. And in this particular one, surrounded by more than 1,600 plant species, it’s also recommended to bring insect repellant. 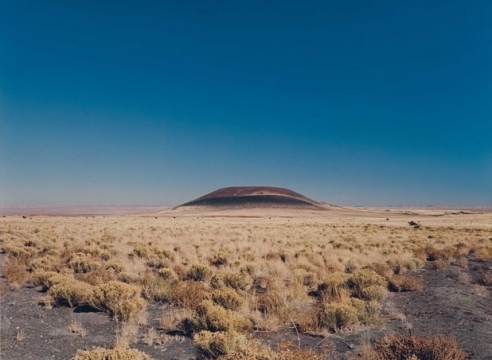 Designing an artificial crater in the dunes of the Netherlands might have seemed like a daunting feat, but not for the master of light (and see below for Turrell’s most ambitious work yet within the Mother Nature–made Roden Crater). Built in 1996, James Turrell’s Celestial Vault is described not as a sculpture in the landscape, but as a tool to look at light and color. And this tool is expansive—30 meters wide and 40 meters long—creating an optical illusion of a domed sky. To reach the crater, visitors must climb stairs on the dune and then walk through a tunnel leading to an expansive grassy crater with an altarlike stone bench in the center. Lying on the bench, visitors can gaze at the crater's curved edge meeting the open vaulted sky above. A private Greek villa with your own 72-foot private heated pool, kitchen, terrace, reflection pool, and dedicated staff is pure luxury. But your own James Turrell skyspace? Amanzoe’s hilltop resort on Greece’s Peloponnese peninsula is home to Sky Plain, the first permanent James Turrell installation in the Mediterranean. Like his other skyspaces, this immersive light installation has a large aperture in the ceiling, allowing for an intimate and unique viewing of the changing Aegean sky throughout the day. If the villa is not booked, the hotel also offers guests the chance to view the installation as part as a special dining experience. A former alpine sanatorium in a traditional Swiss village? It’s just the sort of unexpected place to be fitting for a James Turrell skyspace. Built in 1913, this sanatorium-turned-art-hotel today offers an impressive collection of contemporary art, including paintings, sculpture, permanent exhibitions, and regular “Art Weekends.” But Turrell’s skyspace Piz Utèr (2005) is what really draws in the art seekers to this castlelike estate. The rotunda stone skyspace showcases the changing mountain skies, best experienced in contemplative silence and taken with a dose of fresh Swiss Alps air. Far from the trappings of modern life, in a remote English village surrounded by thick woods, you can be fully immersed in nature—and a James Turrell light show. On the English border near Scotland lies the Kielder Forest Park, a 500-square-mile area of rugged forest, hiking trails, and large contemporary sculptures, including James Turrell’s Cat Cairn: The Kielder Skyspace. While entering the circular stone structure through a tunnel in the hillside conjures Neolithic times, the recently refurbished LED lighting sequence inside the chamber—fused with the changing sky at dawn and dusk—is nothing this world has seen before. Is it a spaceship or is it a James Turrell skyspace? Both are characterized by out-of-this-world encounters that cannot be identified or explained. On the grounds of Houston’s Rice University lies the otherworldly Twilight Epiphany, one of Turrell’s largest skyspaces in the world—it can seat up to 120 people on two levels. Just before sunrise and sunset an LED-light sequence is projected onto the pyramid pavilion’s 72-foot square roof and aperture in the ceiling, creating a light show that plays with the changing colors of the sky during dawn and twilight. Besides showcasing daily symphonies of light, this skyspace is also acoustically engineered to host musical performances. In museums across the U.S.’s contemporary art hubs, such as Los Angeles, New York, and San Francisco, you’ll find James Turell’s work. You will also find the prolific American artist’s work in Pittsburgh, in the Mattress Factory. Housed in a former mattress warehouse built in 1900, Mattress Factory describes itself as a research and development lab for artists. Since 1983, the art space has shown 17 Turrell works, and it has three pieces on view: Danaë, Pleiades, and Big Red. And after more than 35 years of working with the Pittsburgh art space, Turrell is donating a $1 million custom-designed skyspace to Mattress Factory. In Norway, a country that is known for its surreal light shows from Mother Nature—both the Northern Lights and the midnight sun—it’s only fitting to experience art from the master of light himself.Ekebergparken’s Sculpture and National Heritage Park in Oslo is home to two of Turrell’s site-specific light installations—Ganzfeld: Double Vision (2013) and the skyspace The Color Beneath (2013). “Ganzfeld” is a German word that describes the phenomenon of perceptual deprivation, an experience that Turrell often experiments with. A trained pilot, Turrell would be familiar with the effects of navigating dense fog or a whiteout. With Ganzfeld: Double Vision, he evokes that same wonder with his signature color-out—filling a field of vision with one solid color. While it’s hard to put into words what it’s like to be immersed in James Turrell’s world of light, some viewers have suggested it can be as transformative as a religious experience. The American artist was raised in the Quaker faith, in which worship is characterized by silent "meetings." If you want to "meet the light" among the final resting places of Germany’s intellectual elite—philosopher Friedrich Hegel and author Bertolt Brecht’s graves are here—head to Berlin’s Dorotheenstädtischer Cemetery chapel. Since 2015, this 20th-century chapel, renovated with a minimal, modern interior, has been illuminated by a light installation by James Turrell. Every evening from June through September you can take in a LED-light sequence beginning at sunset.